4.125" bore, no pipe, clay inlet. No bowl work, no porting, no nothing. Just fun with a flow bench. Is it with the stock 30 deg seats on intake? No sir, 50° on the intake, 45° on the exhaust. *Stock head, factory valves, no work. At first glance, I thought I had wasted an hour or so of labor, but if you look closely, we did pick up a few cfm on the mid-lift numbers in comparison to the 3/8" Ferreas. To be honest, I was hoping for a little more, but the main goal of this R&D was to get some valves that were extremely light for an upcoming 390 build. FWIW, the intake valve is titanium and weighs 86g. The exhaust valve is stainless and sits at 88g. 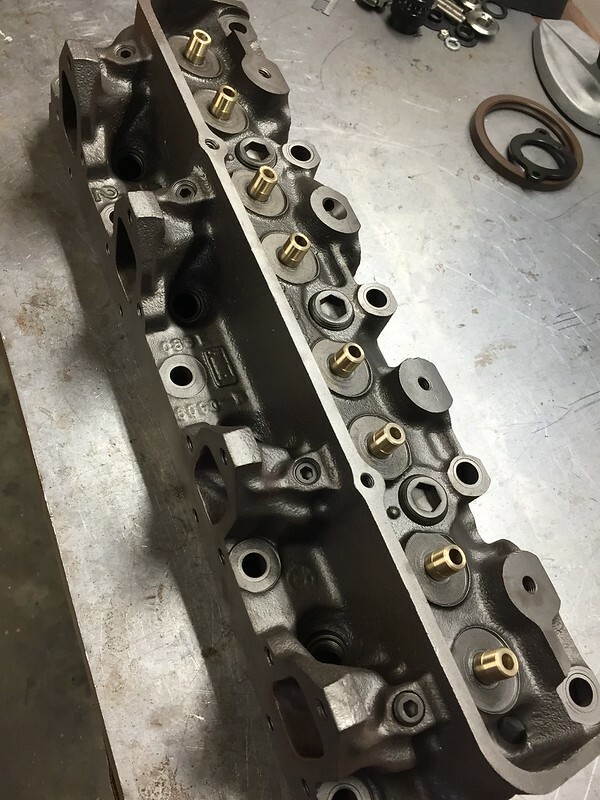 CJ heads with smaller valve...any Truth in that? Yes sir, the C4 head is often referred to as the "poor man's CJ head". Would have been interesting to do the small stem valves with a good 45* v/j. Several years ago I sent Les Schmader a pair of C4-G castings with 2.15/1.65 valves. He did ok work for the money. They won a few races on my junky 390. Brent, did you get the finish on these heads from a wheelabrator machine ?